Crystal Clear Biological Clarifier Plus - 24pks. Crystal Clear Biological Clarifier Plus - 96pks. Crystal Clear D-Solv9 - 64 oz. Crystal Clear D-Solv9 - 32 oz. Crystal Clear Barley Extract - 1 Gal. Crystal Clear Barley Extract - 64 oz. Crystal Clear Barley Extract - 32 oz. Crystal Clear Barley Extract - 16 oz. Crystal Clear Clarity Max - 2.5 lbs. Crystal Clear Foam-B-Gone - 8 oz. 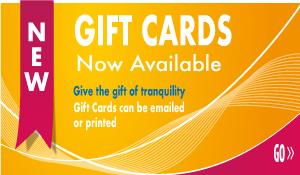 Crystal Clear Clarity Max - 6 lbs. Crystal Clear Polish AC Activated Carbon - 15 lbs. Crystal Clear OneFix - 64 oz. Crystal Clear D-Solv - 10 lbs. Crystal Clear D-Solv - 25 lbs. 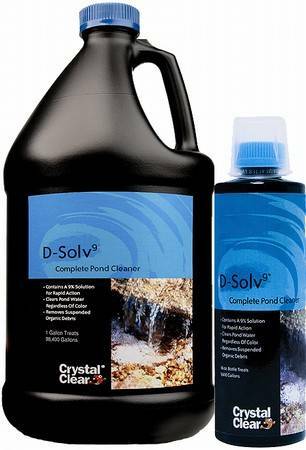 Crystal Clear D-Solv9 - 16 oz. Crystal Clear OneFix - 32 oz. Crystal Clear SapHGuard - 2 lbs. Crystal Clear RapiClear - 32 oz. Crystal Clear Polish AC Activated Carbon - 5 lbs. Crystal Clear pHusion Down - 2 lbs. Crystal Clear D-Solv - 2 lbs. Crystal Clear Biological Clarifier Plus - 6pks.